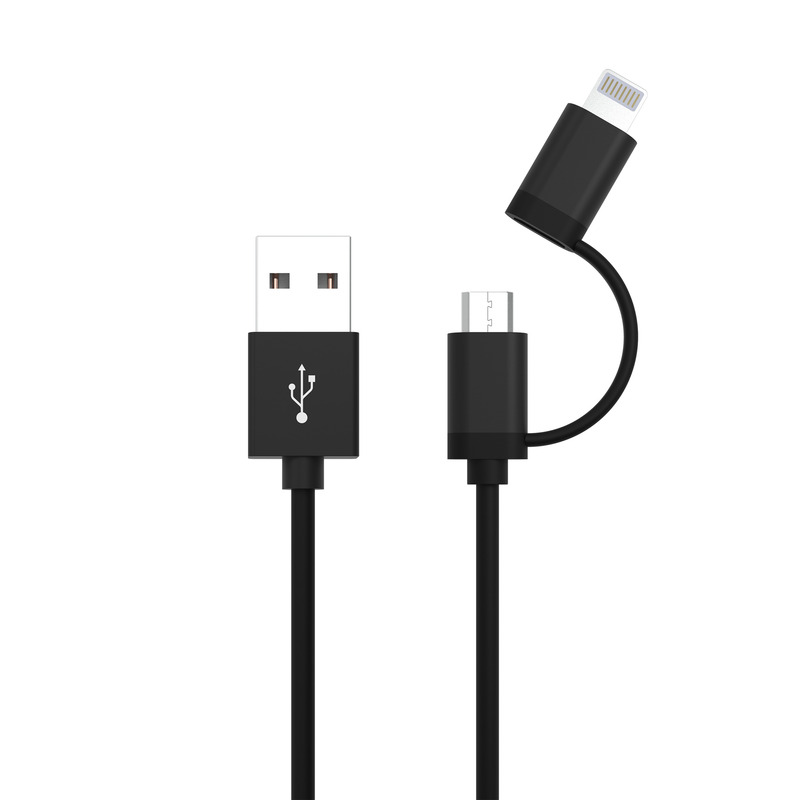 With the highly-flexible cable made from TPE plastic and the robust aluminium housing with injection-moulded strain relief, the ANSMANN cable combines two characteristics which makes this cable extremely resilient to high loads . 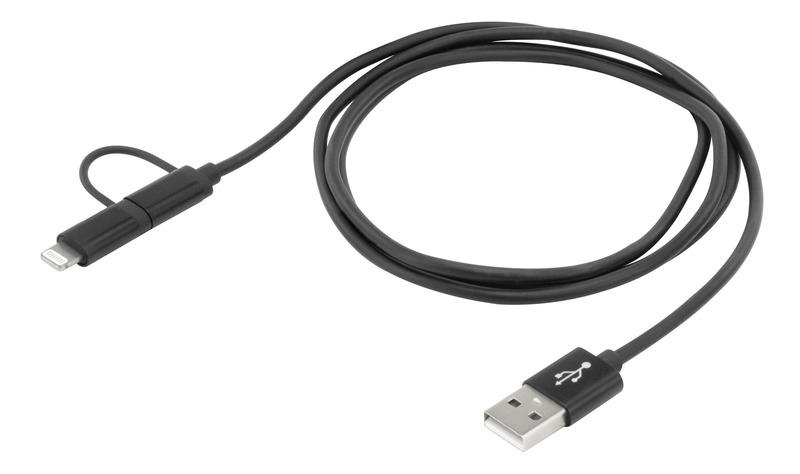 The plug connections are manufactured in accordance with the USB standard, ensuring an optimum connection. Data can be transferred without interference and end devices optimally charged. e-readers, Samsung, HTC, Motorola, Nokia, LG, Sony, PS4, Xbox, Nintendo DS, GoPro etc. Very robust thanks to the aluminium plug housing with integrated strain relief and flexible TPE plastic. 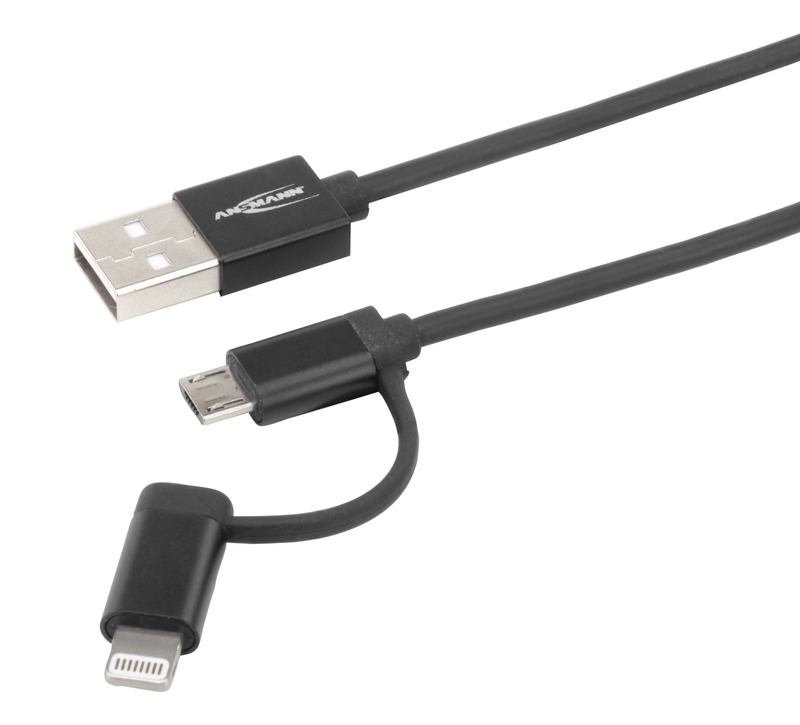 High-quality data and charge cable with a length of 120 cm. Synchronising and data transfer with up to 480Mbit/s. 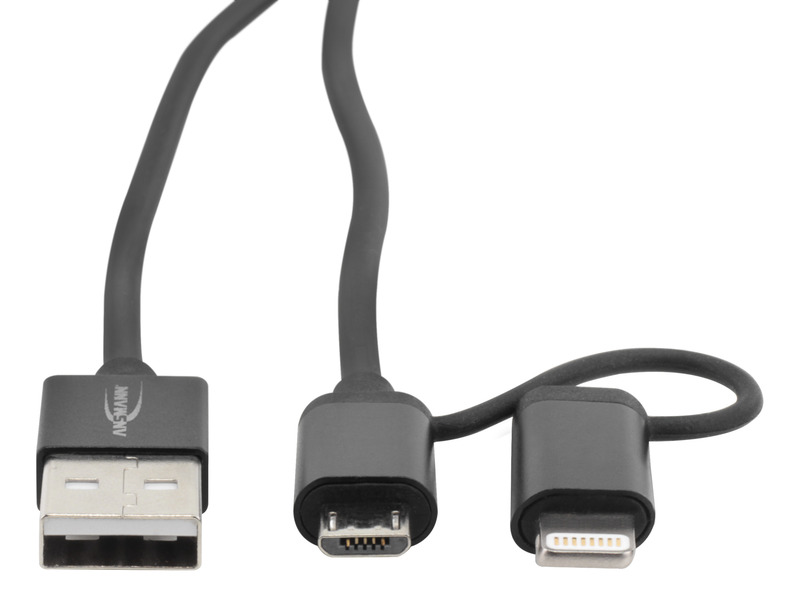 Compatible with all common end devices that can be charged or operated with a Lightning or Micro-USB connection.